The most amazing show on earth!” – Enter the Circus, Christina Aguilera. That’s right, the much-anticipated Circus has come to Kuala Lumpur, right in the Fashion Avenue, a brand new part of Pavilion KL. A glittery new venture by The Eatertainment Group, this stylish bistro and cocktail lounge has finally opened its doors to the public. But before that, some of us were invited for a media preview. We were promptly treated to either a choice of Moet & Chandon or their delectable cocktails. Being me, of course I had to have both! 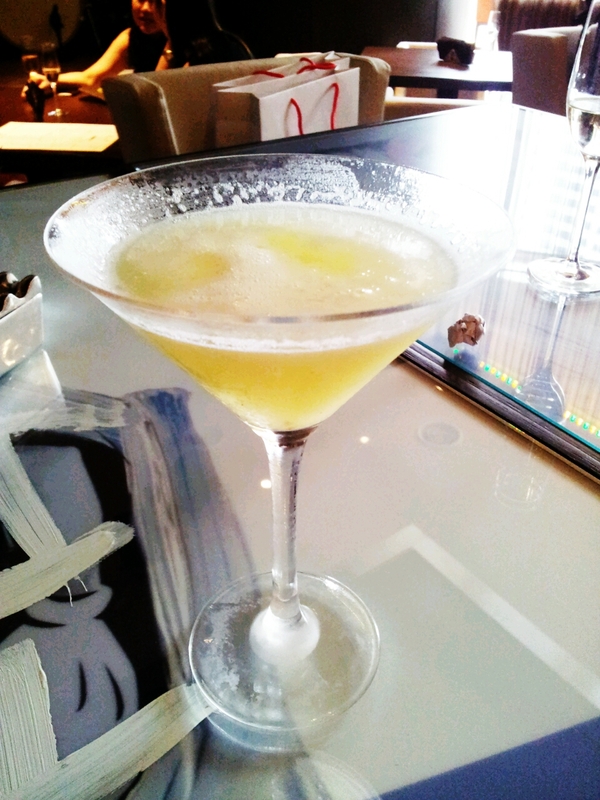 Refreshing Lemon and Pineapple Martini that would have you sipping non-stop. I absolutely adore this Lemon and Pineapple concoction, as I have a profound weakness for anything lemon. This is quite tart, although balanced by the slight sweetness from pineapple. Strong too, apparently. Even more so combined with unknown scoops of Champagne. Needless to say, a lot of us were very ‘happy’ that night. Bite-size but definitely not small on flavours. The menu is extensive, featuring an exciting array of international dishes, including hand-crafted gourmet pizzas. 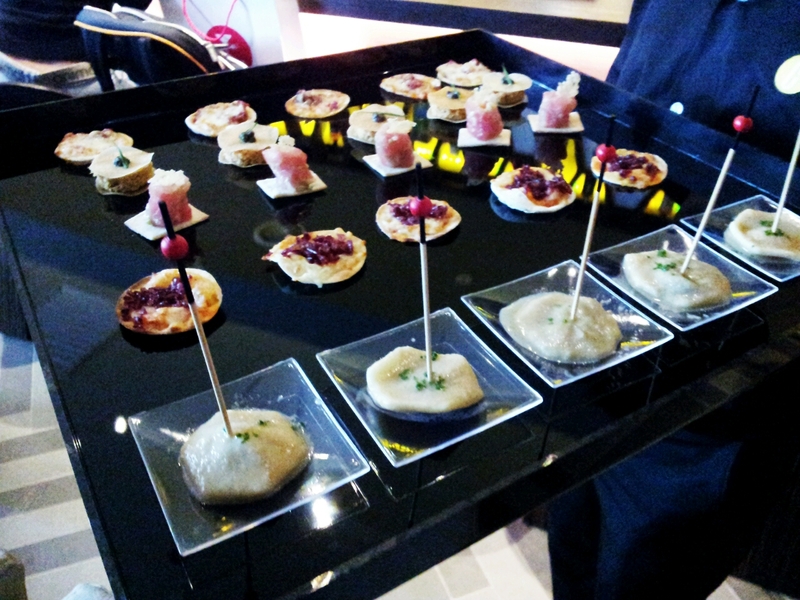 Although the full menu was not available on the day of our visit, there were canapes floating around, giving us a taste of what’s to come. Personally I like them all! Especially the mushroom agnolotti (unexpected explosion of flavours, wow!) and the tuna tartare. Frank enjoyed the super mini beef ‘pizza’. 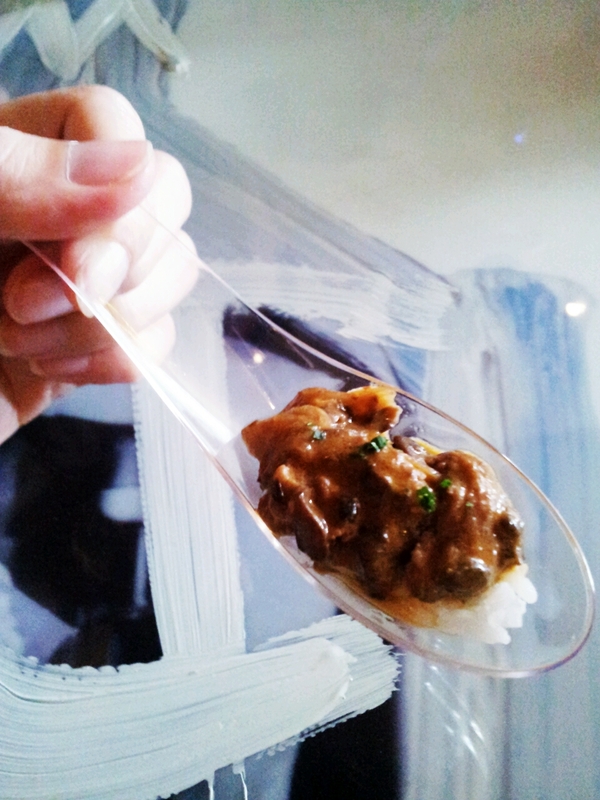 But the creamy beef stroganoff seems to be the crowd favourite. There weren’t enough of this going around! Was it a coincidence that I’ve cooked Beef stroganoff few days after? I think not. 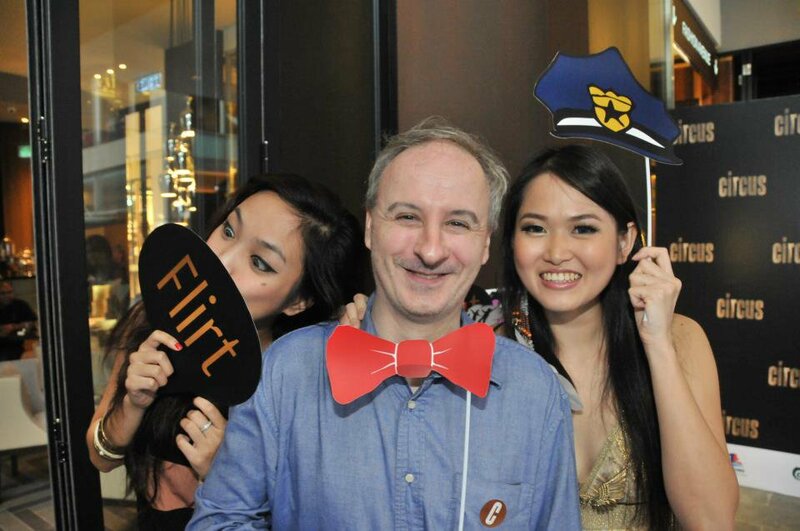 Of course, we made full use of the photo opportunities. The cameras never stopped flashing. These photos are taken by Cheng Yi of fatboybakes, Serge Norguard of dustyhawk.net (by the way if you go to his blog you’ll be confronted by a pic of me and Louise doing an act that might ruffle our Ministry of Education’s nerve), and Tim Chew of timchew.net. 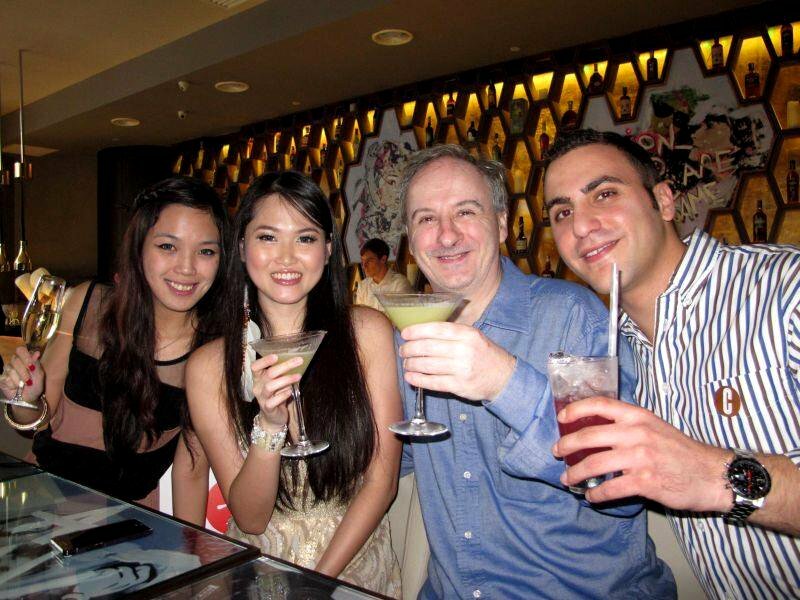 With the other lovely couple, Ralph who’s the Sales and Marketing Director of The Eatertainment Group, and Louise who’s my other lover. 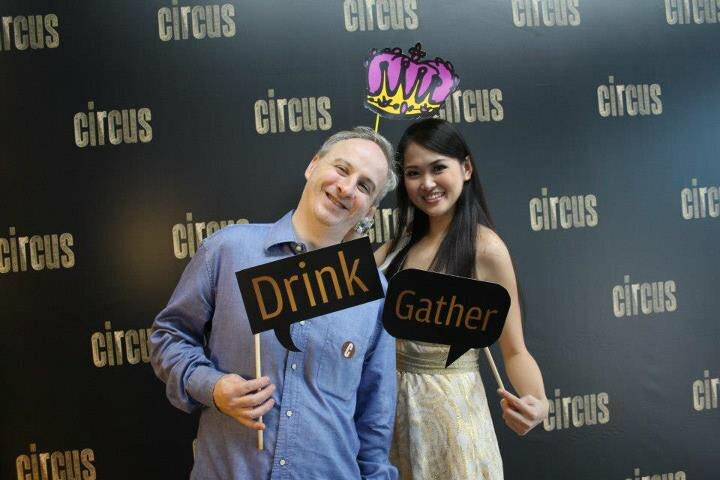 We were loving the props provided by Circus for the photowall. Evelyn of missyblurkit.com joined in for the fun too! The service was attentive and profesional. 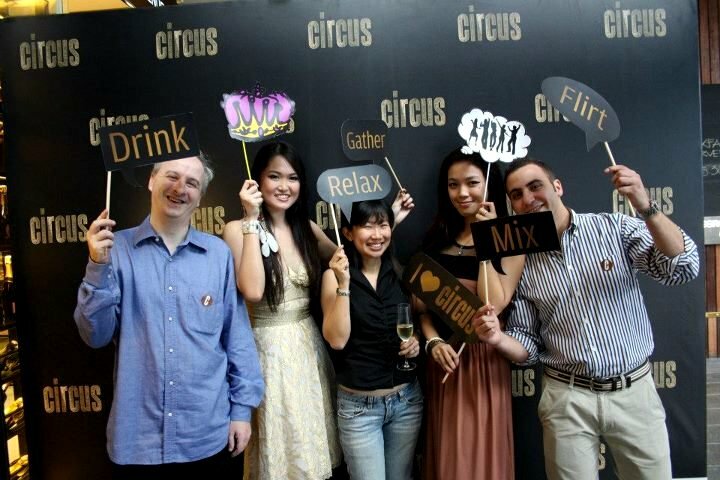 Circus raises the bar (no pun intended) and we have no doubt that it can compete with other venues in Melbourne, London, Dublin, etc. We’d like to take this opportunity to thank the Management team for inviting us, and we’ll be back for more! Do you want to come and play? Gather, Relax, Mix, Mingle, Flirt, Eat, Drink, whatever floats your boat! 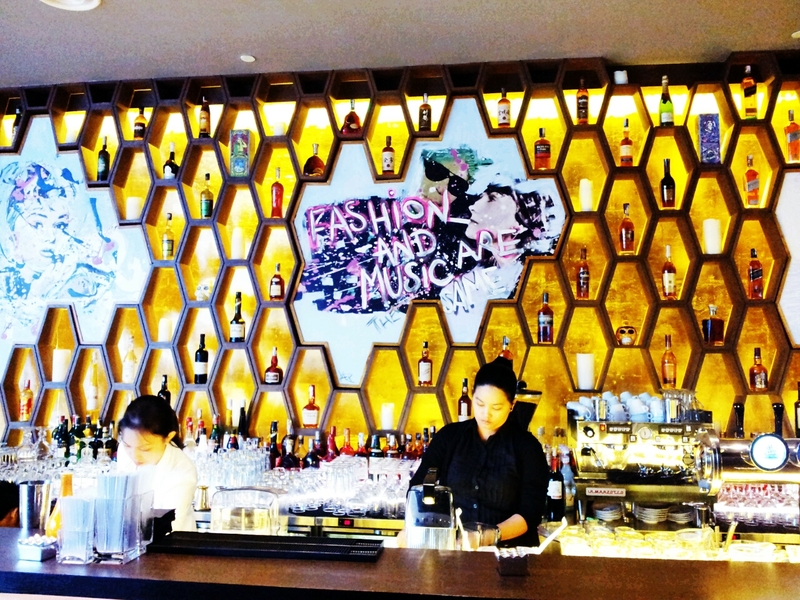 Easily Accessible via the mall’s Jalan Raja Chulan, or walk past La Bodega until the end, it’s on your right. Look like this is a great party night out! Everyone seems to have a great time. Yeah and when are you coming to KL my dear?? Yes sir! Amended 🙂 Oversight la. looks like a whole lot of fun for everyone! !